My rating: 8.5/10. Smart designer watch. Adjustable mesh strap. Hello, today I’m doing a Hugo Boss 1513440 review. As I mentioned in the last review I’m slowly working my way through some of the most popular Hugo Boss men’s watches. This next timepiece is ultra smart and comes with an adjustable mesh style strap that’s been a pretty big hit. I hope you enjoy this Hugo Boss 1513440 review below. The dial of this Hugo Boss watch is very sleek. I love these rose gold PVD plated detailing that give it this luxury finish. The hands and hour markers have a slim design to them which I also like the look of. There are two chronograph sub dials displaying a 60 second and 60 minute timer, these are spaced out nicely with one at the 12 o’clock position and one at 6. There’s a handy date display located at the 4 o’clock position with a rose gold surround. Overall the design is really well done, it has a luxury look and includes the sub dials and date display without overcrowding the dial. 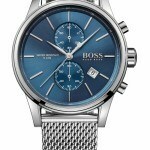 The casing of the watch is made of a strong stainless steel and features two chronograph pushers as well as a slightly enlarged crown for adjusting the time and date with “BOSS” imprinted on it. This model has a specially hardened mineral crystal glass. This type of glass is treated to give it a better resistance to scratches and knocks. It also offers a better level of shatter resistance than a sapphire glass. Mineral crystal is quite common for watches in this price range so I’m pretty happy with this. Powering the watch is a standard quartz style movement. These types of movements are quite common. They’re reliable not requiring much in the way of maintenance and are also relatively accurate. 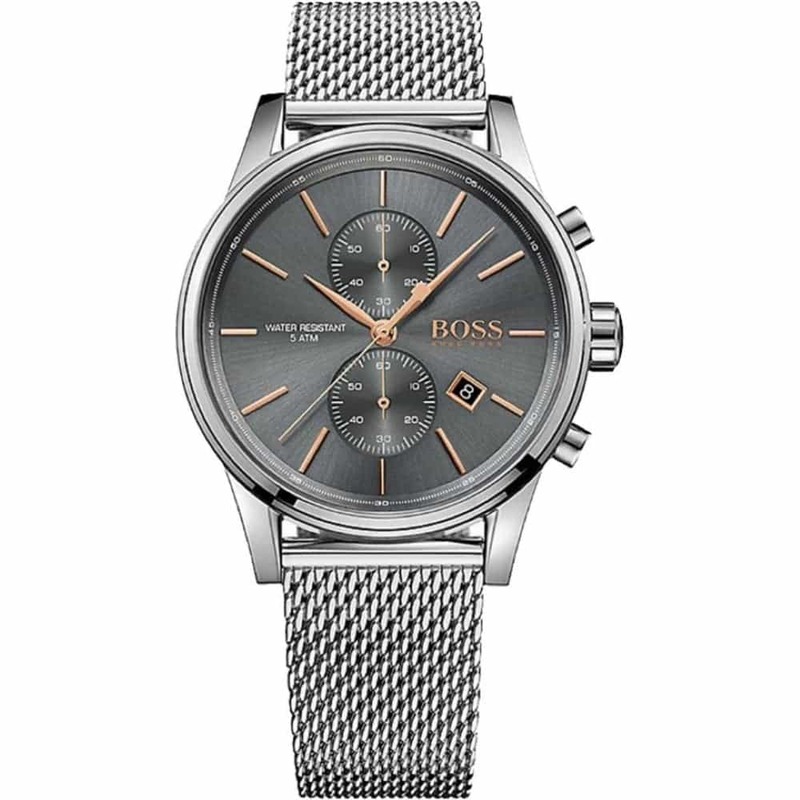 You’ll find this type of movement in many of the Hugo Boss collection. The watch has quite a nice large display measuring 40mm in diameter with a 10mm thickness. This gives the watch that popular larger display that many people are looking for whilst also keeping the watch relatively slim and sleek on the wrist. The strap is a great selling point for this watch proving very popular with many people who have purchased it. It’s a very comfortable mesh style strap made of stainless steel but the key point is the adjustable catch. This type of adjustable catch is very easy to operate making it simple to alter the size of the strap. There’s not much in the way of any extra features, everything has already been mentioned. 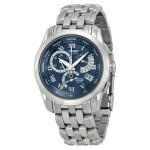 You get the chronograph timekeeping as well as a simple date display function. This watch has a decent 50m water resistance rating which is quite common for these Hugo Boss designer watches. A 50m or 5 bar rating makes it suitable for swimming, white water rafting, non-snorkeling water related work, and fishing. Band Stainless steel mesh strap, standard length, 20mm width, adjustable clasp. Case Stainless steel casing, sizing diameter: 40mm and thickness: 10mm. Dial Analogue display. Mineral crystal glass window lens. Again like I mentioned in the previous Hugo Boss review, I’m a big fan of this brand. This watch has a beautiful dial design and I love the rose gold detailing they’ve gone for. It’s a smart and stylish watch that’s ideal for either formal or casual occasions. 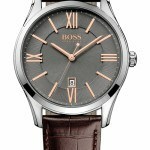 Hope you enjoyed this Hugo Boss 1513440 review. Find more watch reviews below.